Sorry, two posts in one day, but I have to roll these out together to get caught up! 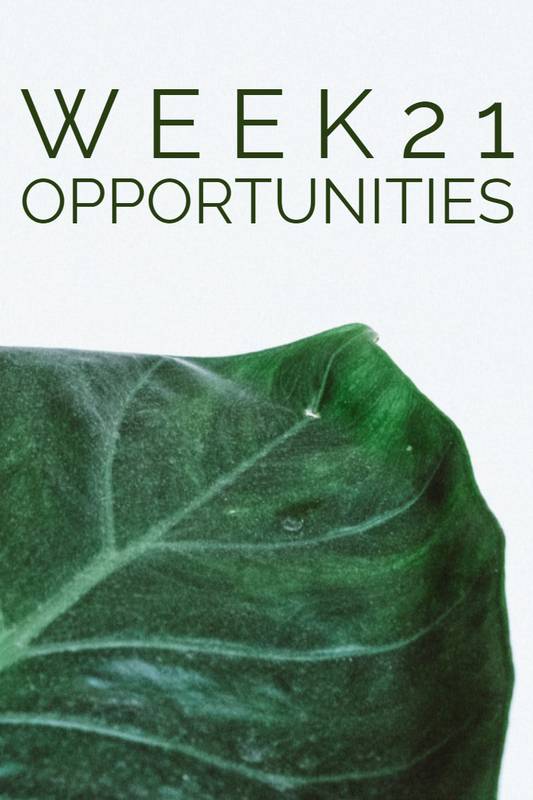 This last week's list asked me to talk about the best opportunities that others have given me throughout my life. Brandon and I talk a lot about how everything in life has directed the path to where we are now. If certain things hadn't happened, we could be somewhere completely different. So essentially, every opportunity I've been given has allowed me to end up where I am now, which is somewhere I would not trade for anything. My opportunities start with everything my parents have given me. Living a nice life, being able to pursue hobbies and interests, going to college to get a good education. I was given so many opportunities as a child (and teenager, and young adult) and I will always be grateful to my parents for that. There are a lot of in between opportunities that I was given that have molded who I am now, but the best of them are the ones that have led me to being a mom to our babes, and a wife to the best husband. I am grateful for the opportunities that I have been given that have allowed me to connect with other loss moms, and to help make their journey a little less lonely. I love that having our babies has allowed us to donate CuddleCots. Sometimes life is sucky and hard, but at the end of the day, I am grateful for all the opportunities that have led me to the person I get to be today. The last two years have been tough, but they have shaped me in ways I never knew were possible. I'm looking forward to the opportunities that are coming our way and to see how they will affect who I am going to become.